I wanted to give you a heads up that Chic Tweak will be hosting a sample sale on April 4th-6th offering 30-70% off their coveted selection of scarves from designers such as Bindya, Chan Luu, and Love Quotes. See details below! Chic Tweak Welcomes Two More Brands! I did an article on Chic Tweak in February and I mentioned some of the wonderful brands available on their site. Now Chic Tweak is happy to announce the two newest additions to their online scarf boutique – Diane von Furstenberg and Shelli Segal! Diane von Furstenberg, one of America’s iconic designers, founded her collection in 1972. Today, the brand continues to represent the luxurious lifestyle of a chic New York City woman. New to Chic Tweak, DVF is one brand that simply cannot go ignored! Scarves from the collection range from $145 to $165. Laundry by Shelli Segal is meant to encapsulate the true spirit of the “LA Girl.” Feminine and flirty, the scarves embody the free-spirited attitude of a modern LA woman. Launched in 1988, the collection continuously incorporates the latest trends into its signature looks. Scarves from the collection range from $21.50 to $25. Chic Tweak – Scarf Wonderland! I love wearing scarves! With winter in full force (breezy Spring for LA), scarves are the go to accessory for fashion forward women regardless of their climate. They offer functionality, versatility and a pop to any outfit. 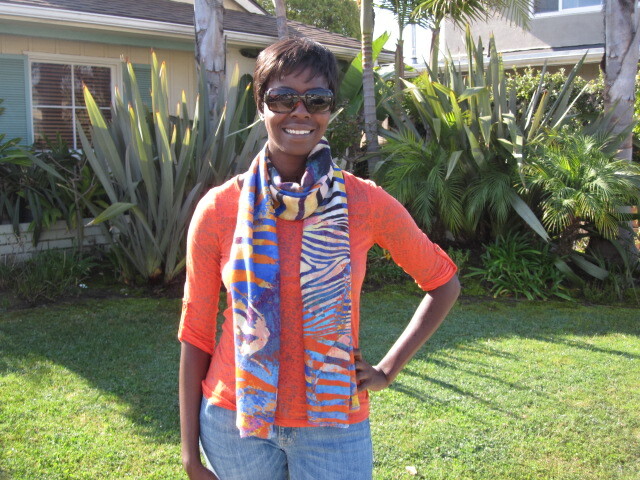 When I was alerted of Chic Tweak and given a beautiful, colorful scarf to rock around town I was excited to share this newfound website with you! Some only wear it one way, but Chic Tweak can help you re-think the way you wear your go-to accessory! Being indoors doesn’t always assure warmth. Wear your scarf as a wrap when you’re seated by the door at the hottest new restaurant, or when the heating system at your office isn’t quite doing the trick on those extra chilly winter days. The modern-loop is a fresh take on a classic look. Fashionable no matter how it’s worn, the loop allows you to don your scarf loose and flowing for a layering effect, or tighter for a polished look that provides optimal warmth when the mercury dips. Another way to wear it is Celeb style. For the glam look you can wear it this way and turn heads. Be ready to strike a pose! Be sure to check out this website and see the some of the most hottest scarves and the many ways you can stand out just by a tweak of your look! About Chic Tweak: Chic Tweak is a recently launched one-stop-shop for the latest trends in scarves and accessories. 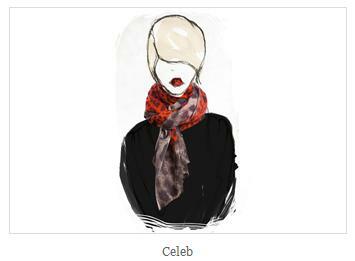 Created to be an aggregate of the very best scarves available in the marketplace, Chic Tweak offers a range of prices and variety for today’s fashion forward women. Bindya Lulla, the driving force behind Chic Tweak, brings over ten years experience in the scarf and accessory industry. With two thriving lines; Bindya NY and Lulla by Bindya, Lulla sought to bring her passion and knowledge online to create the ultimate e-commerce experience where you can go to “tweak your style.” In addition to Lulla’s namesake collections, Chic Tweak also carries favorites such as Chan Luu, Love Quotes, Theodora & Callum and Tilo.